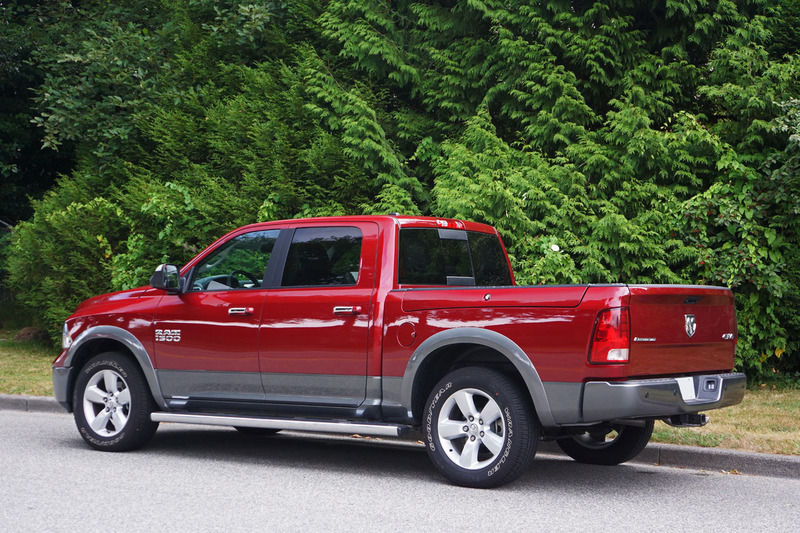 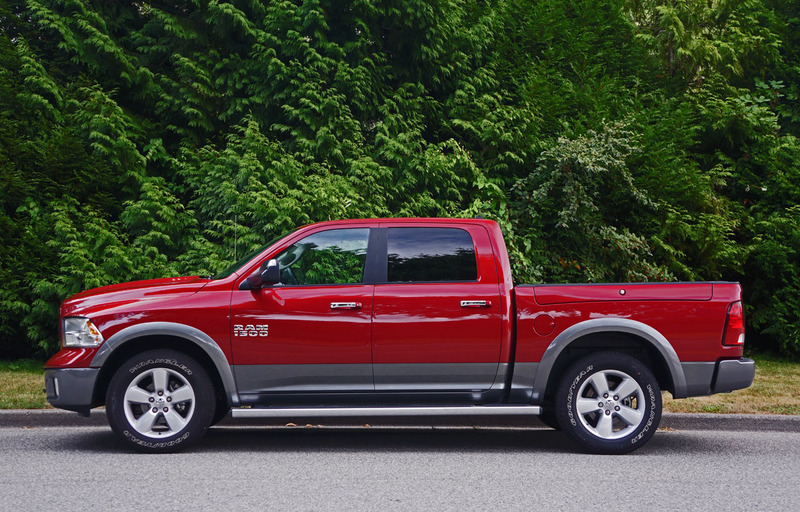 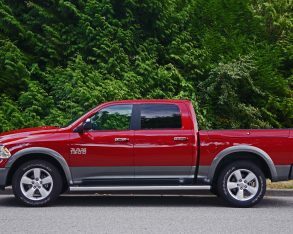 that the new Ram 1500 delivers “the best fuel economy of any full-size pickup, ever!” This claim is for the new EcoDiesel model mind you, a vehicle we’ll cover in another review shortly. 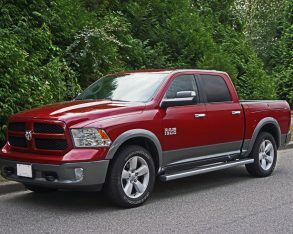 The Ram 1500 that’s being reviewed here is a nicely featured 1500 Outdoorsman 4×4 model with the surprisingly potent and also thrifty 3.6-litre Pentastar V6. 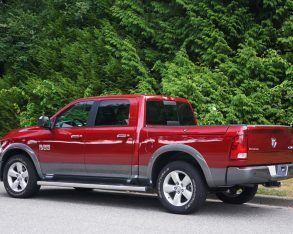 super-efficient TorqueFlite eight-speed automatic, making the rest of the six-speed auto driven full-size pickup truck class look inadequate at best. 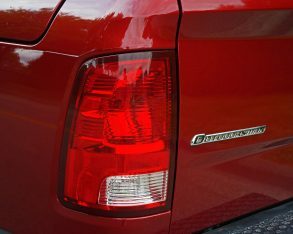 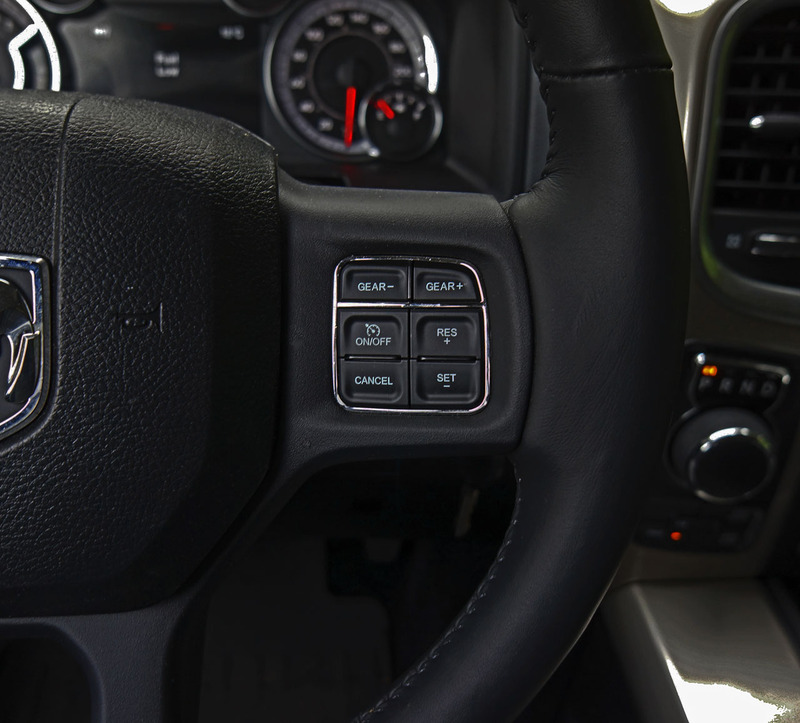 The eight-speed is a key reason the Ram 1500 feels so quick at takeoff, even in my tester’s well equipped 4×4-enhanced Outdoorsman trim. 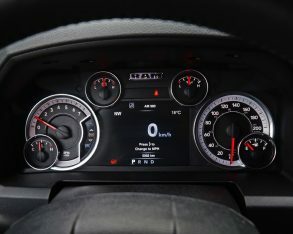 Its shorter intervals make sure the 3.6 remains within its sweet spot more often than not, maximizing the available power and torque on hand, while this same advantage combines for excellent fuel economy, at least when Ram’s 3.0-litre EcoDiesel isn’t factored in. 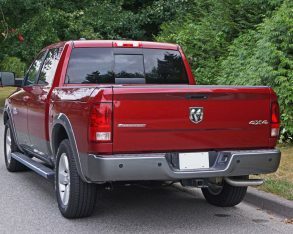 3.6 mated to the Ram’s four-wheel drivetrain is rated at 13.0 L/100km in the city and 8.5 on the highway, which while nowhere near as thrifty as the oil burner’s 10.2 city and 7.1 highway rating at least bests the Chevy Silverado 4×4’s highway mileage of 9.0 L/100km (the bowtie truck manages best city mileage at 12.6) and walks away from Ford’s F-150 V6 4×4 rating of 13.4 city and 9.7 highway. 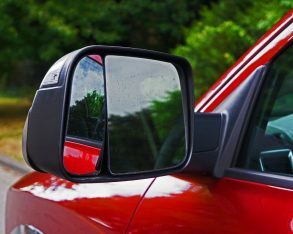 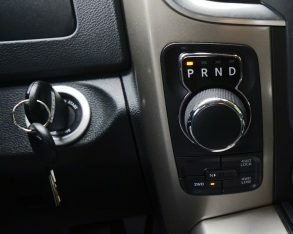 While such infinitesimal gains might sound like nickel and diming to some, fleet managers know very well how small improvements in fuel economy can add up. 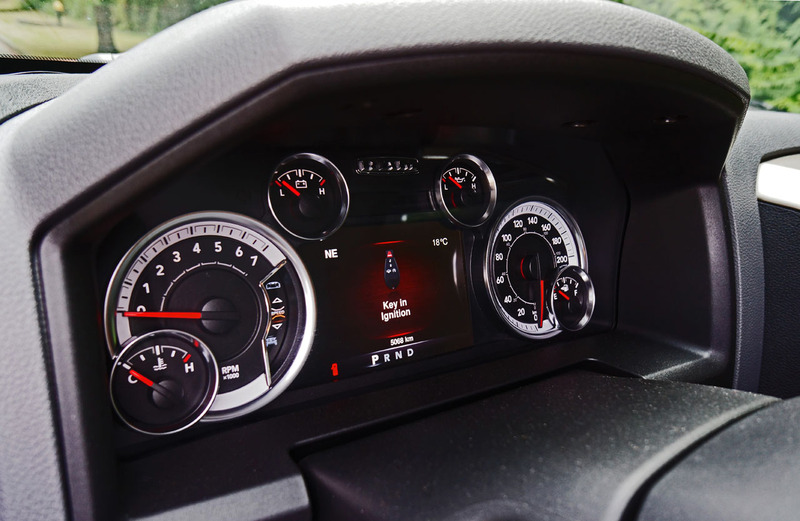 Of course, these are 2014 model year numbers and we’re overlapping into the 2015 model year now, so don’t go comparing any of these figures to trucks offered in the coming year. 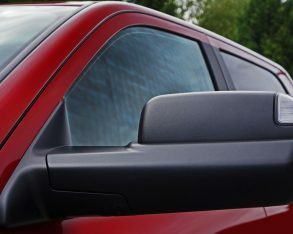 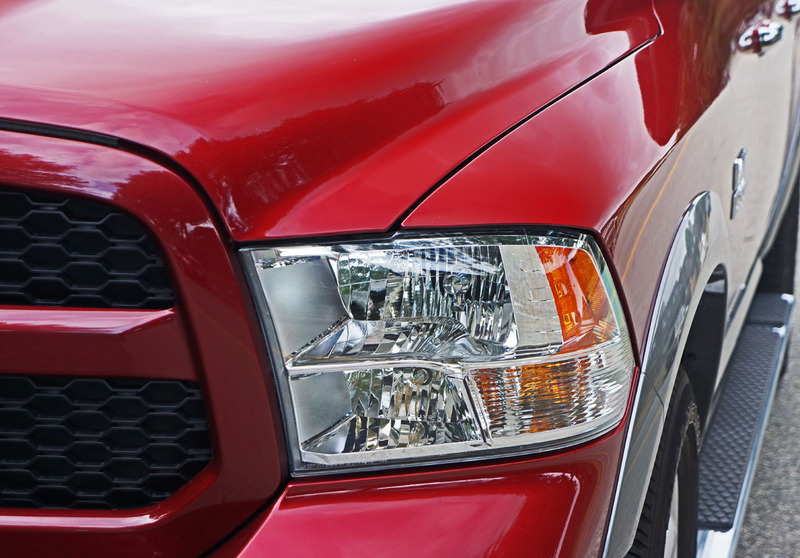 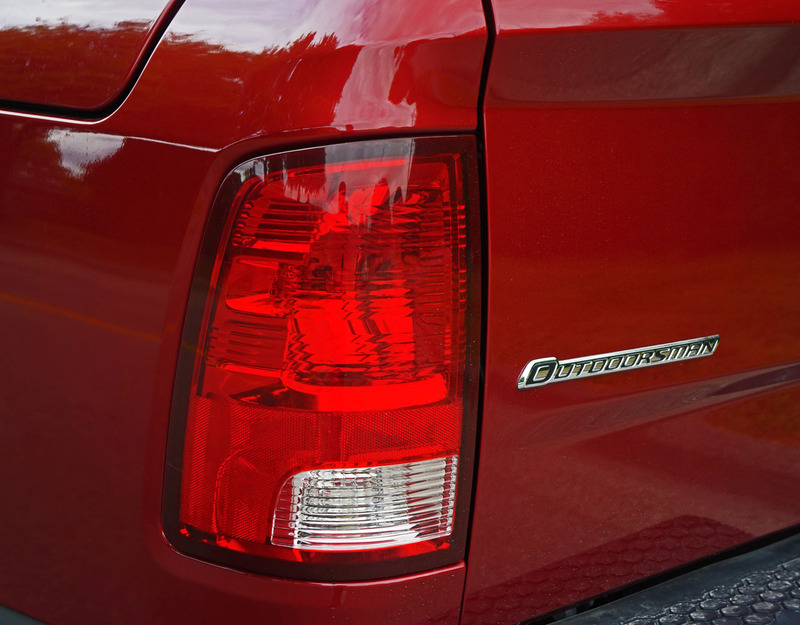 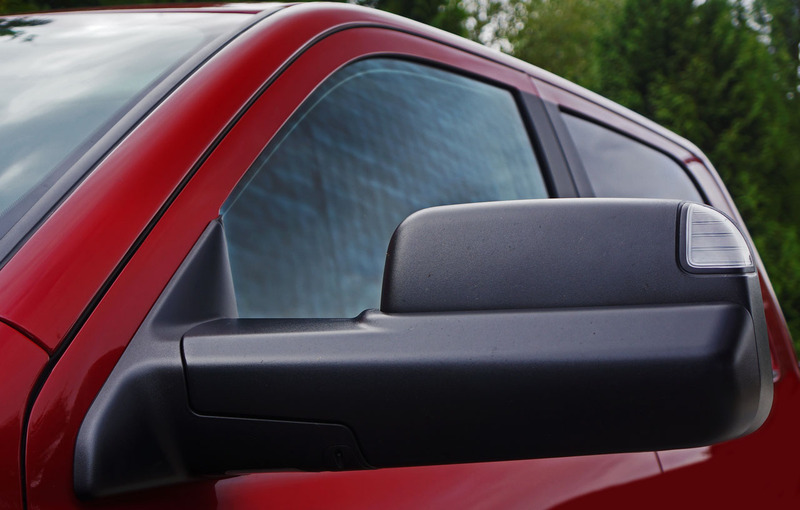 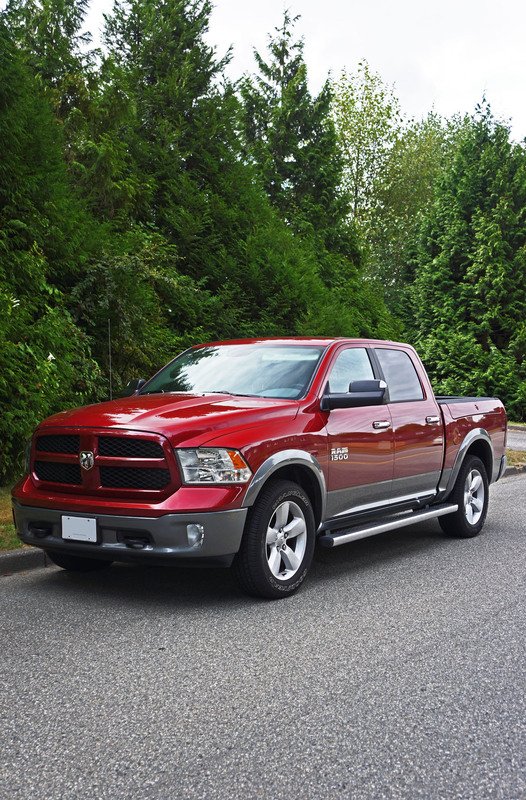 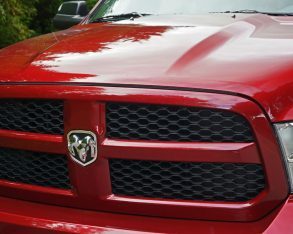 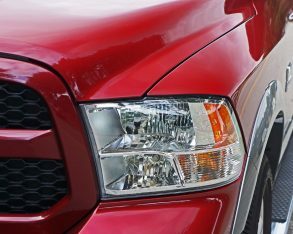 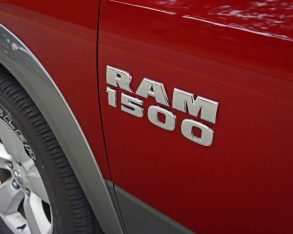 Ram offers a 1500 HFE trim level that combines the Pentastar V6 and eight-speed transmission with two additional features never before seen in the pickup truck sector, active grille shutters to improve highway aerodynamics and auto stop-start technology for reduced consumption in the city, resulting in a claimed rating of 11.4 L/100km in the city and 7.8 on the highway. 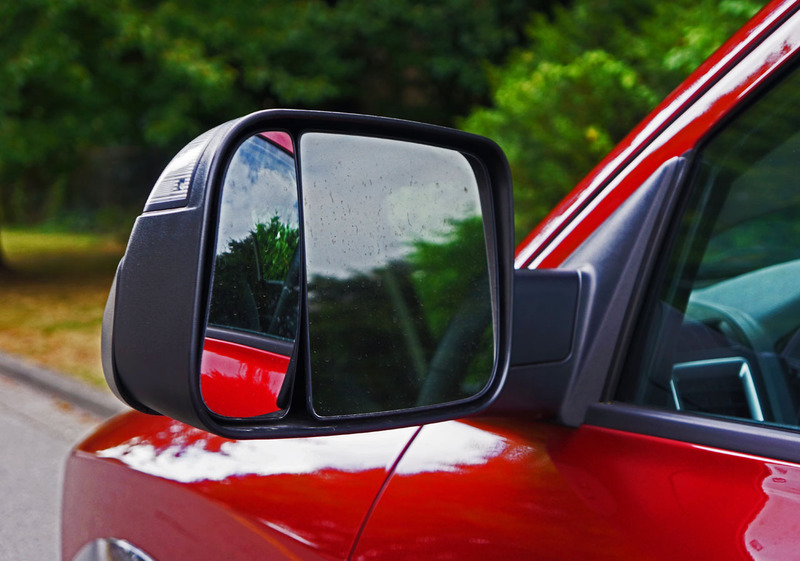 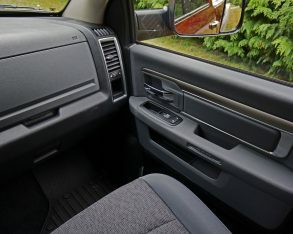 column or in between the driver and front passenger. 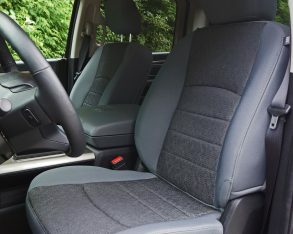 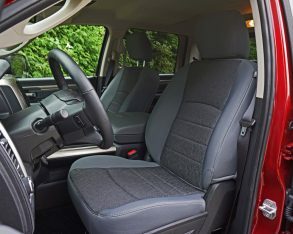 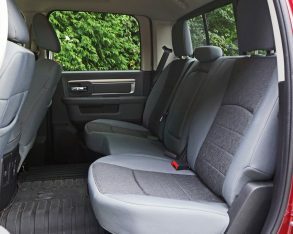 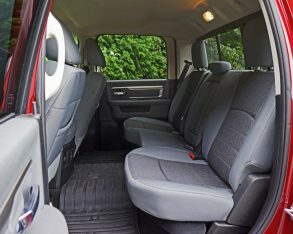 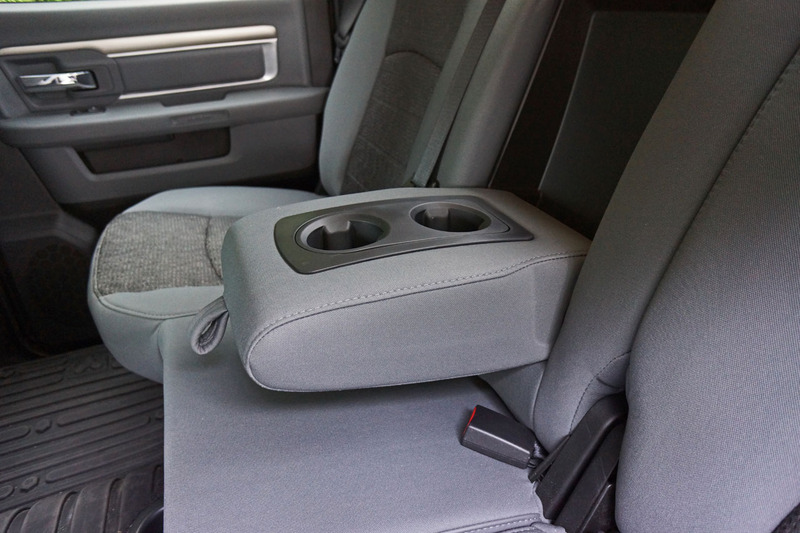 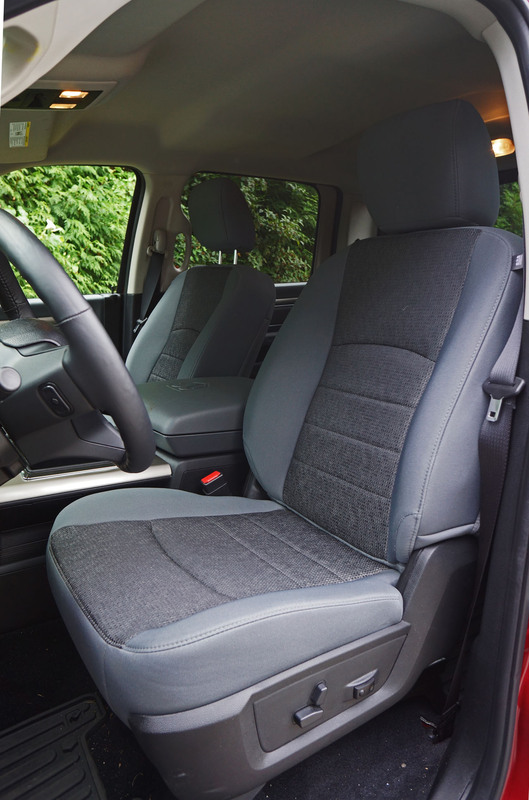 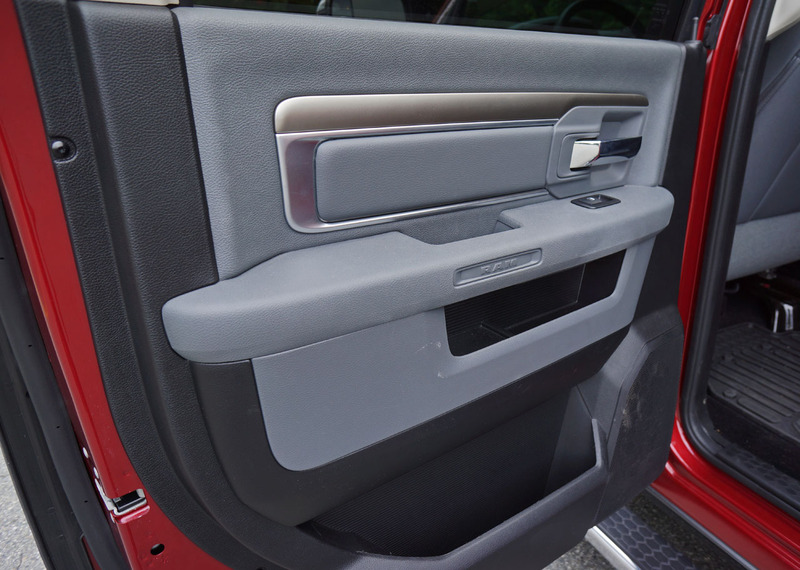 This frees up space ahead of the driver and allows for a bench seat on some trim levels, while my off-road tweaked Outdoorsman model featured a couple of handy storage bins where the gear lever might have otherwise been. 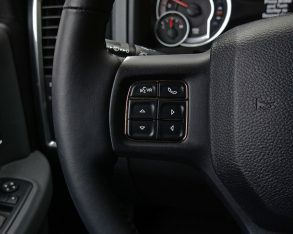 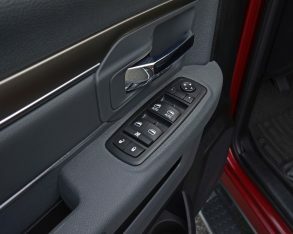 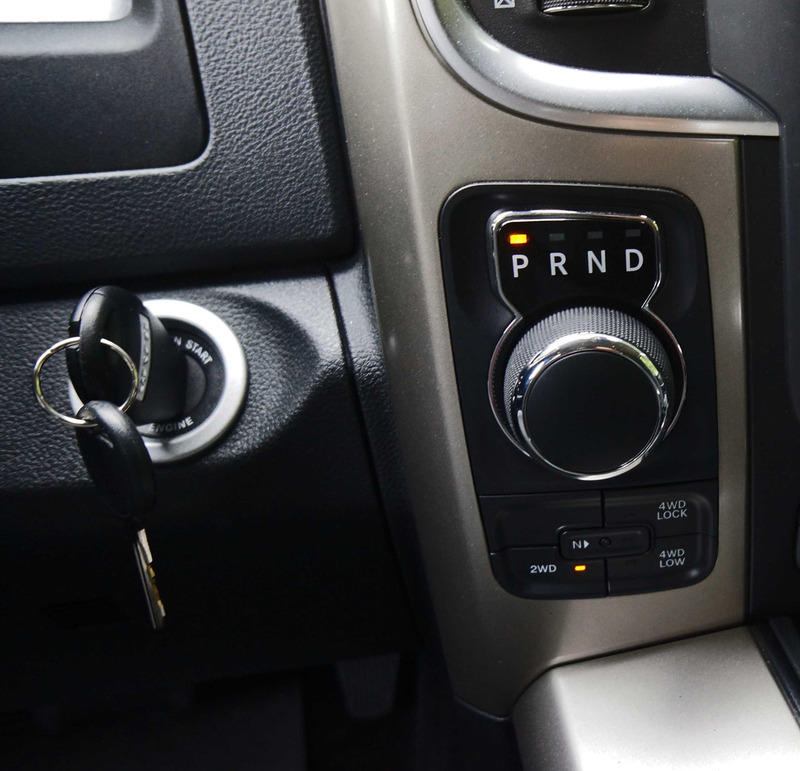 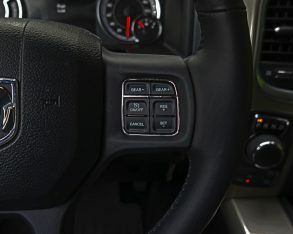 Manual shift mode can be modulated via buttons on the steering wheel, while 2WD, 4WD Lock and 4WD Low can be selected from a set of buttons just below the gear knob. 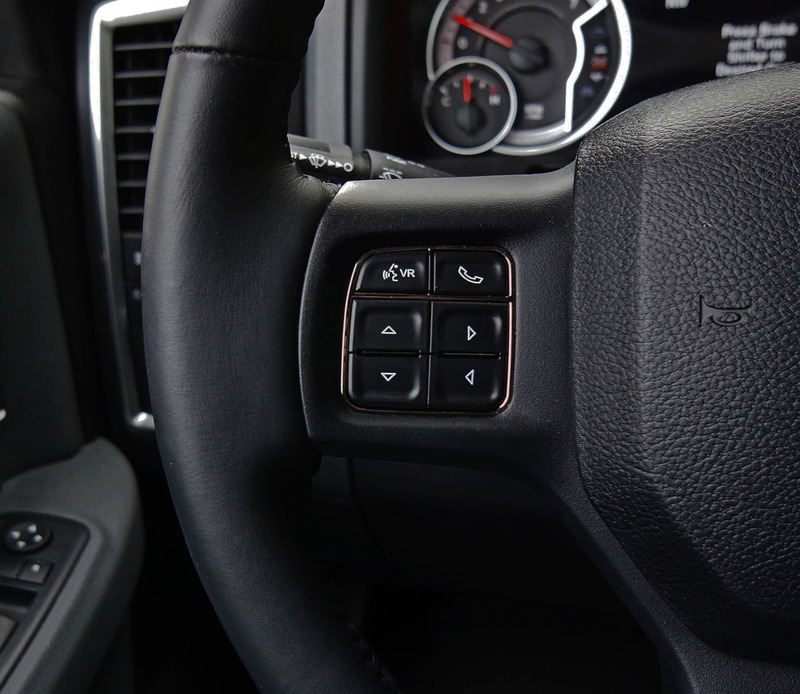 a course via the navigation system, if so equipped. 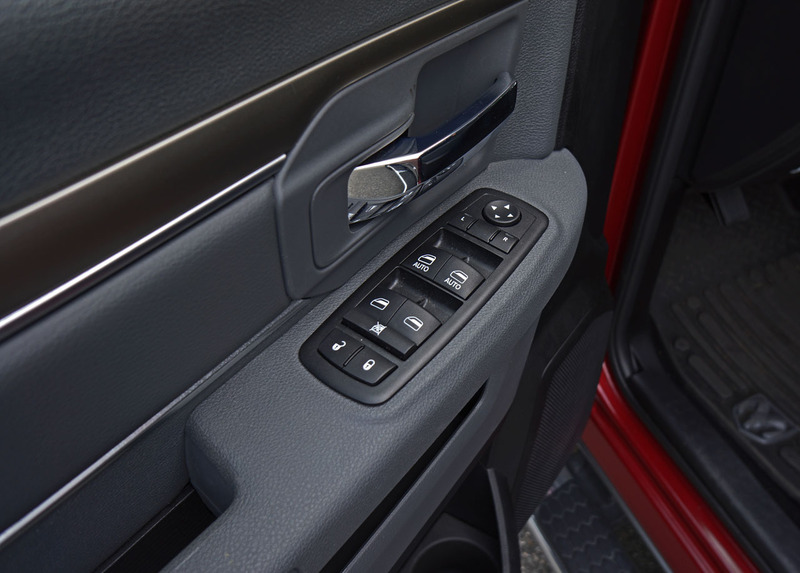 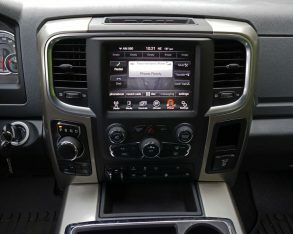 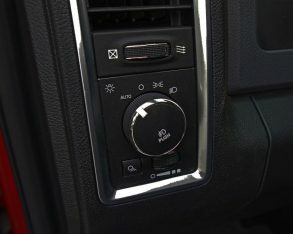 Likewise you can access all climate control features digitally too, but Ram makes this process easier via a set of big buttons and a meaty rotating knob at centre, just a bit larger than the twin knobs available for stereo adjustments. 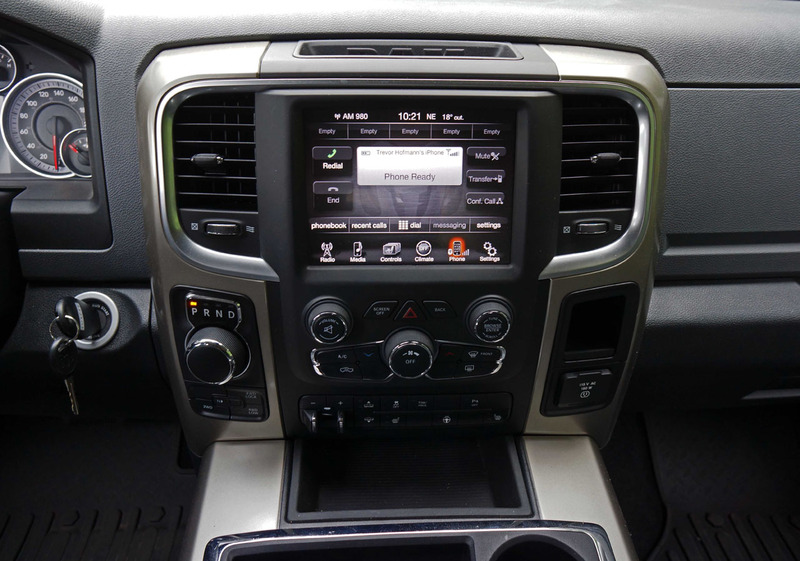 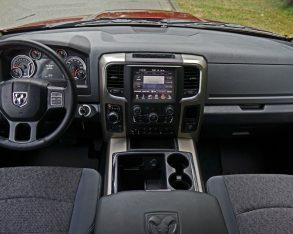 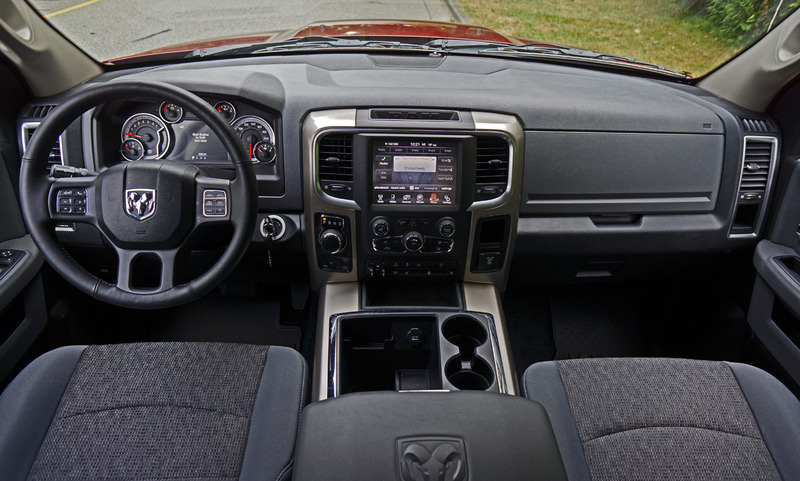 Of course the audio system can be controlled via the steering wheel spokes too, making the Ram unofficial truck of the department of redundancy department, but of course it’s not alone with such abilities. 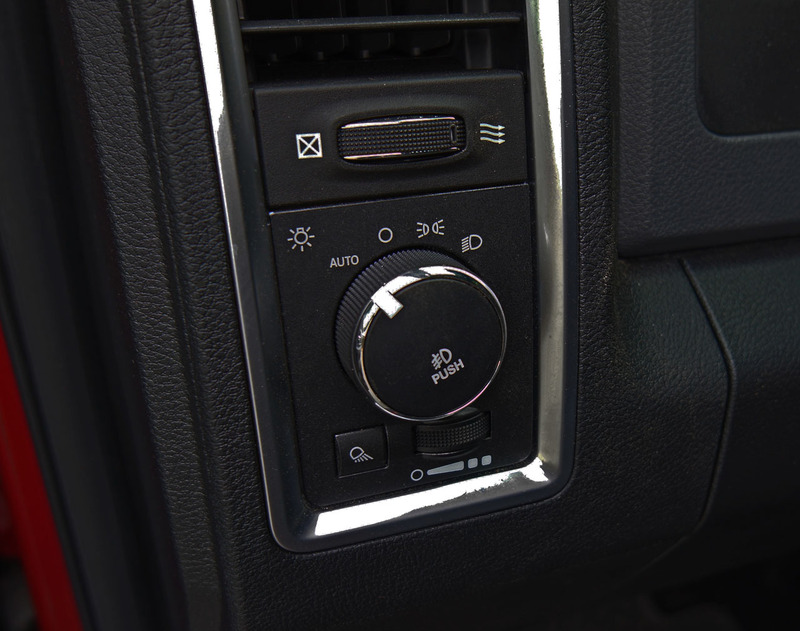 Still, it’s nice to have options, as I find my 50-plus year old hand reaching across to the dash-mounted volume knob more often than not. 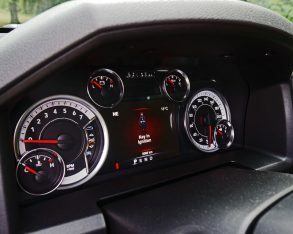 And speaking of redundancies, below the HVAC interface is another cluster of switches that includes toggles for those same heated seats, plus the heated steering wheel, parking sonar, tow-haul mode and the truck’s optional air suspension, which my particular example included. 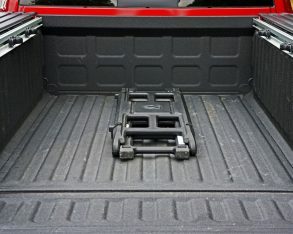 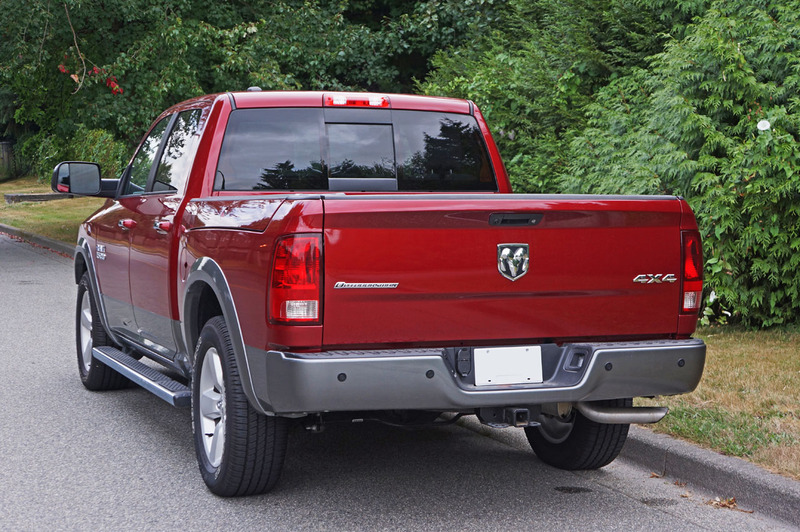 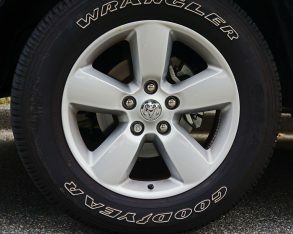 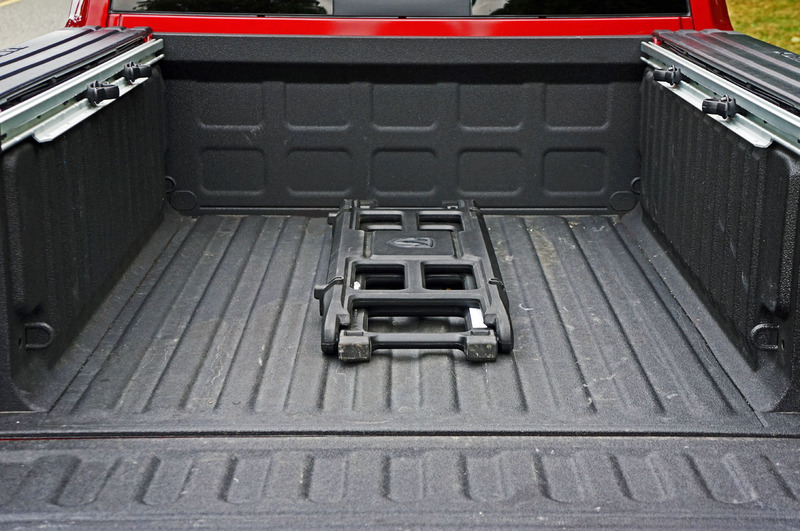 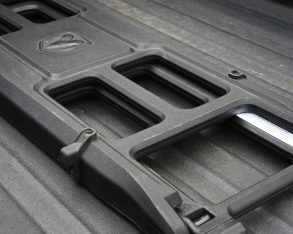 the air suspension allows you to raise and lower the truck when outside via the key fob, handy when loading up the bed or hooking up a trailer, while it also levels itself out when under load, lowers itself automatically to save fuel on the highway, and increases the ground clearance for 4×4 use. 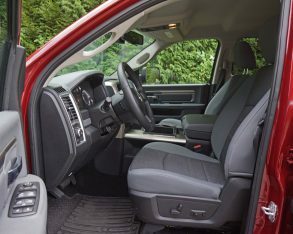 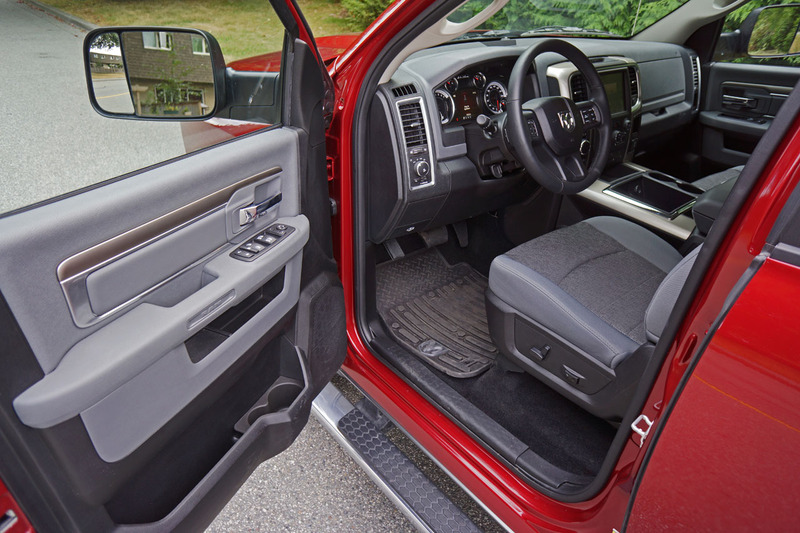 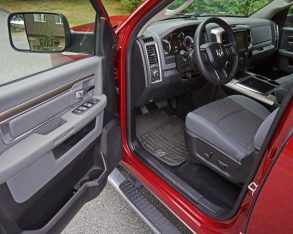 The air suspension also makes for a better ride and improves overall handling, altogether doing a good job of matching the cabin’s aforementioned sophistication while no doubt adding to an interior quietness that defies its pickup truck classification. 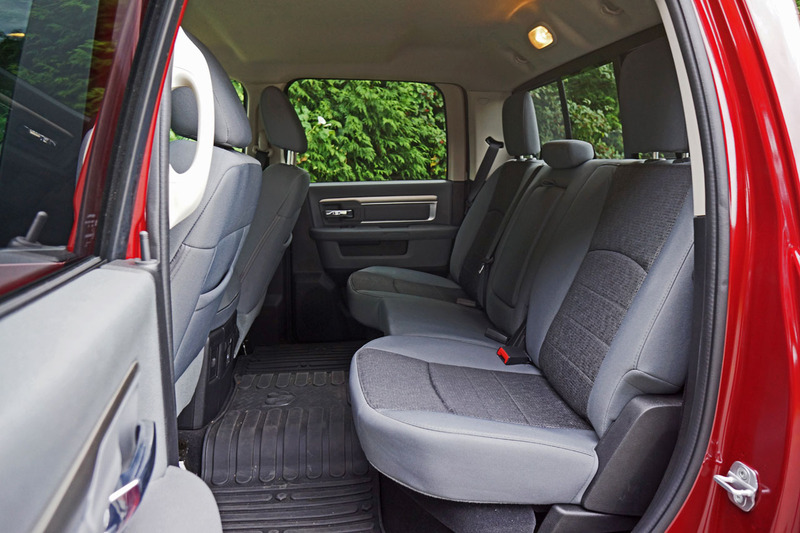 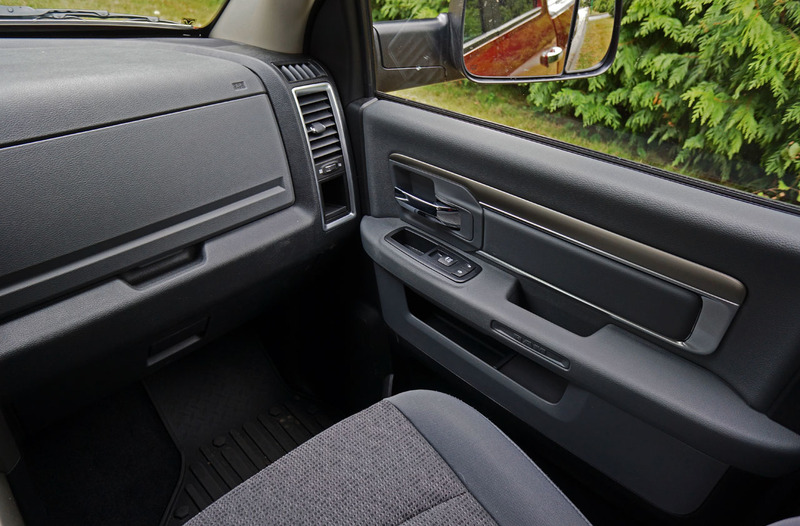 The 1500’s many soft-touch surfaces and sound-deadening materials help to dull noise, vibration and harshness levels too, all making for a surprisingly quiet cab. 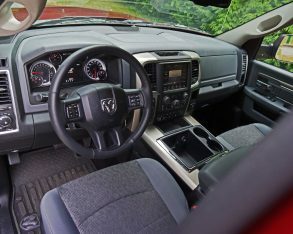 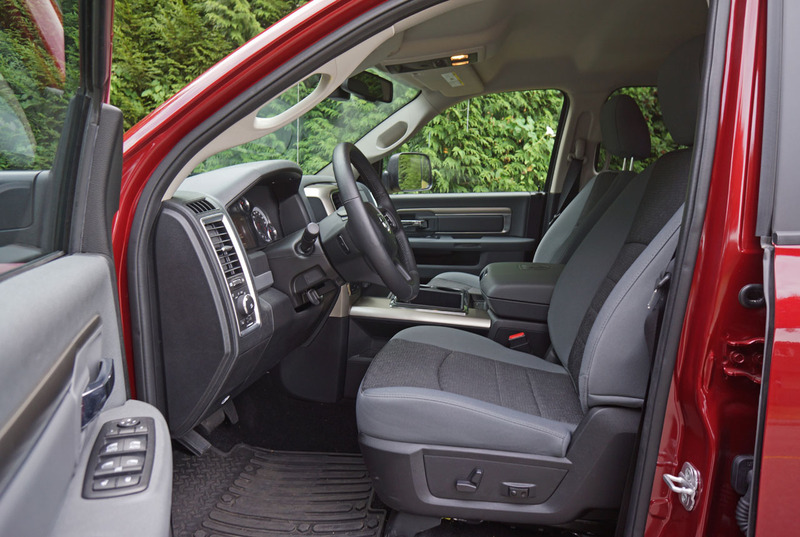 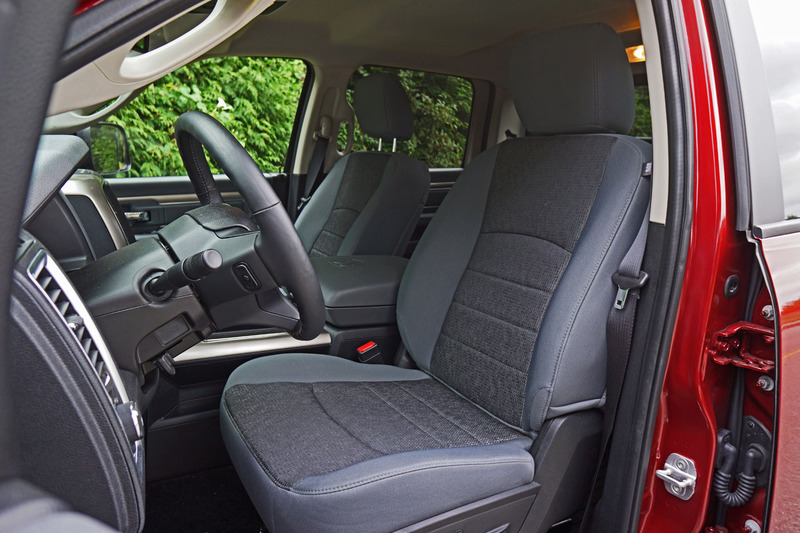 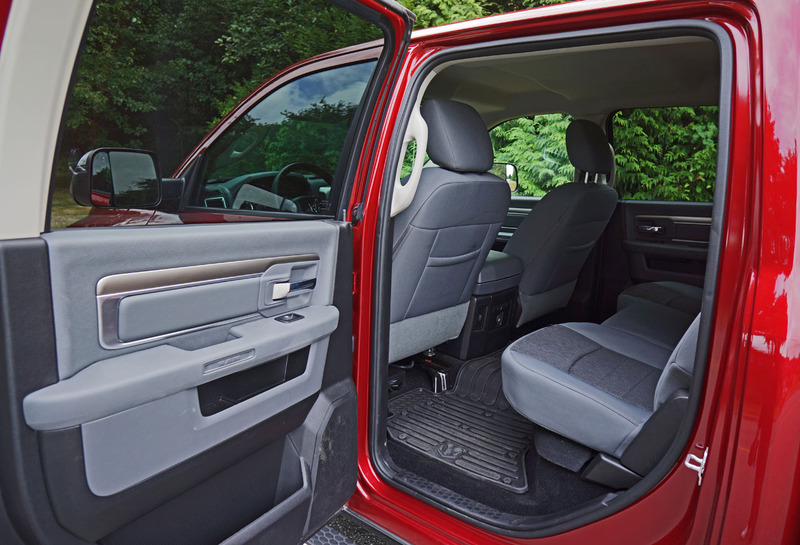 models like this Outdoorsman Crew Cab are family haulers driven by moms as often as dads, so the upgrades that Ram has steadily made to its 1500 only make sense. 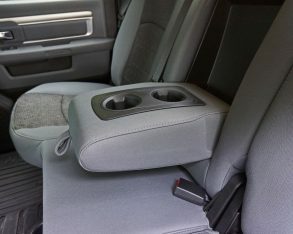 It’s good to know that it can still do heavy work, mind you. 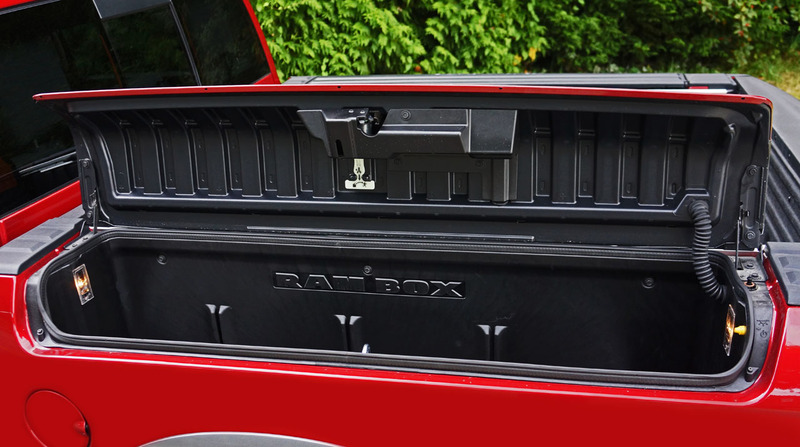 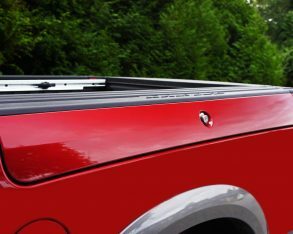 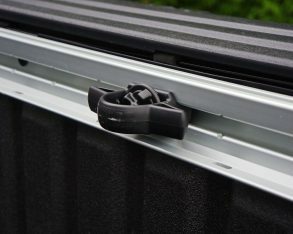 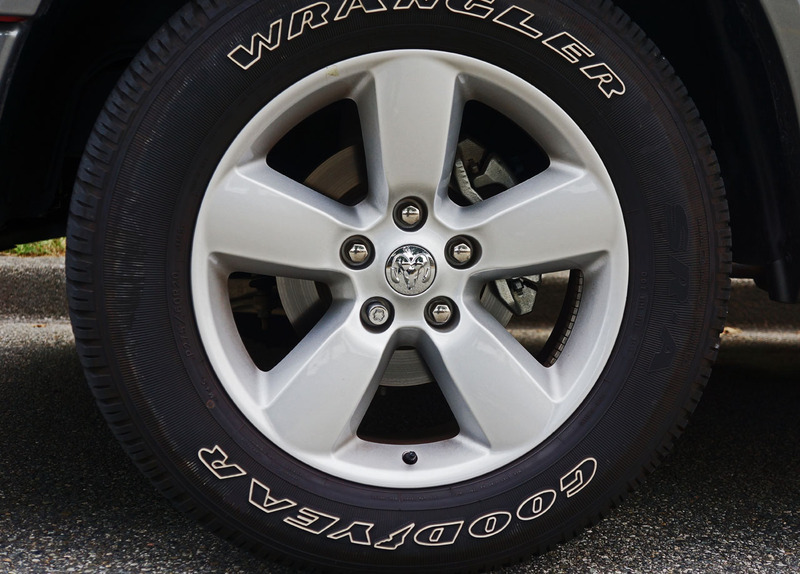 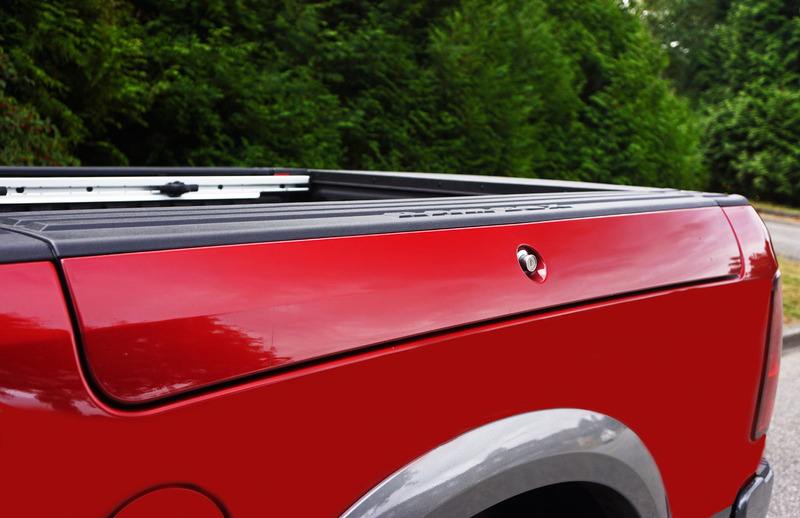 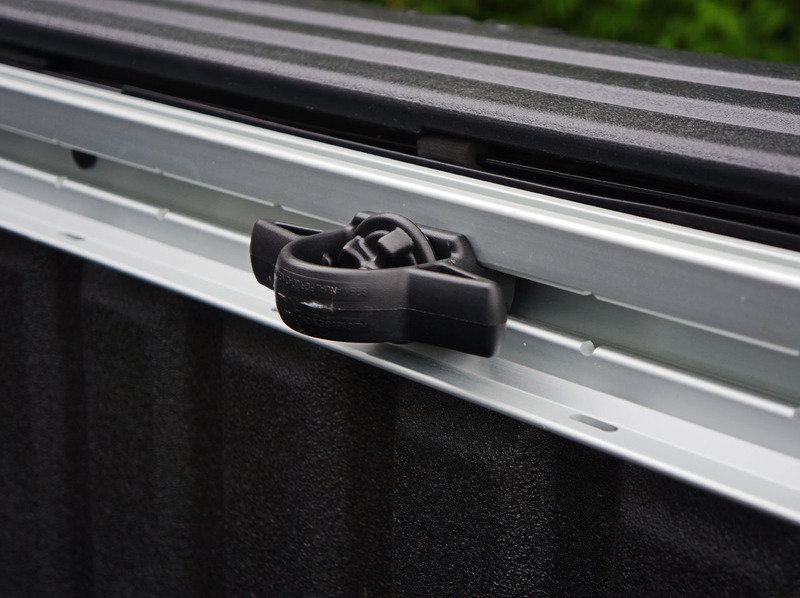 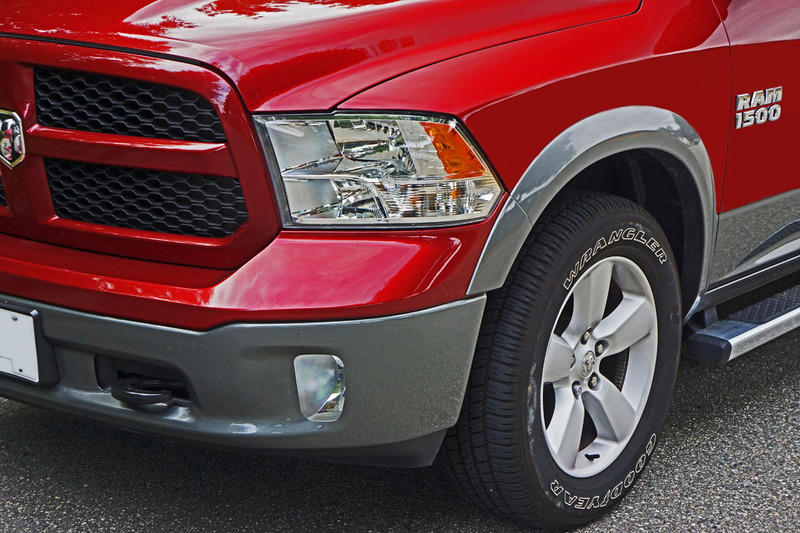 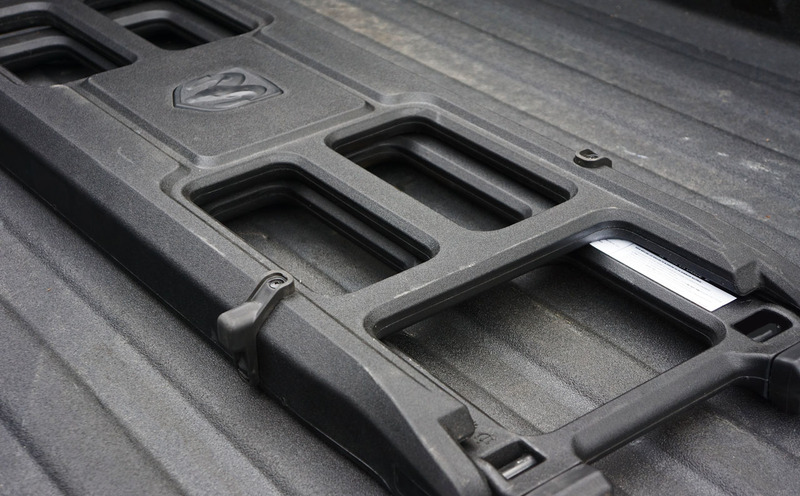 Even in base V6 trim the Ram 1500 can tow up to 2,948 kilos (6,500 lbs) when properly outfitted, making it an ideal fit for camp trailers and small boats. 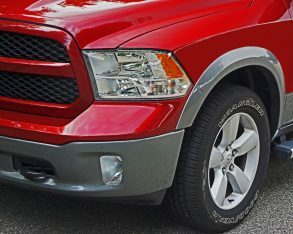 plus $1,695 for freight and pre-delivery prep, and that base truck includes the Hemi V8, whereas you can upgrade to a fully decked out Laramie Limited 4×4 EcoDiesel and pay more than $60k. 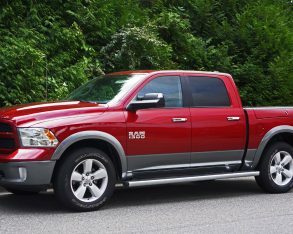 My 1500 Outdoorsman can be had for $29,795 plus freight, although with all the options my tester included its price came close to $45k. 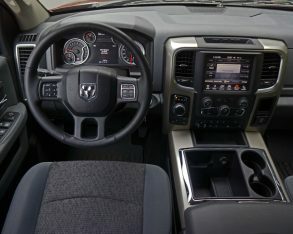 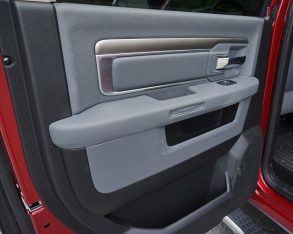 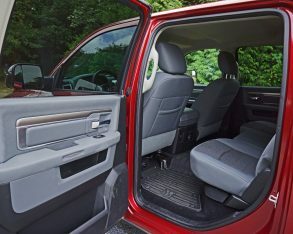 I haven’t even scraped the surface on standard features and options, my tester including the brand’s exclusive Ram Box storage system integrated within each side panel and a useful bed extender that was really easy to get on and off while expanding the use of the 1500’s cargo hold, but the features are so wide and varied that we’d be going over them for another hour, so for your sake and mine I recommend a visit to the Ram retail site as they do a good job covering such details as well as going over the various body styles and drivetrains available with this truck. 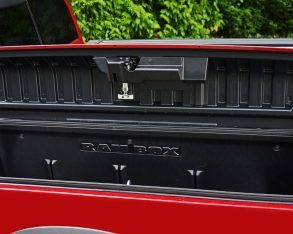 won’t mention that its key competitors offer easier access to the bed via drop down steps or simple gripped foot cutouts in the rear bumper, however, so I look forward to yet more innovations (and/or some blatant copying) in future model years to make the 1500’s box easier to climb into for smaller folk like me. 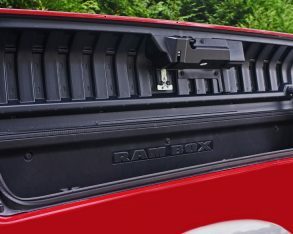 The Ram Box is cool (literally speaking if filled with ice and beverages), but the 1500 needs such practical improvements to keep it up with competitors, advanced powertrain leadership aside. 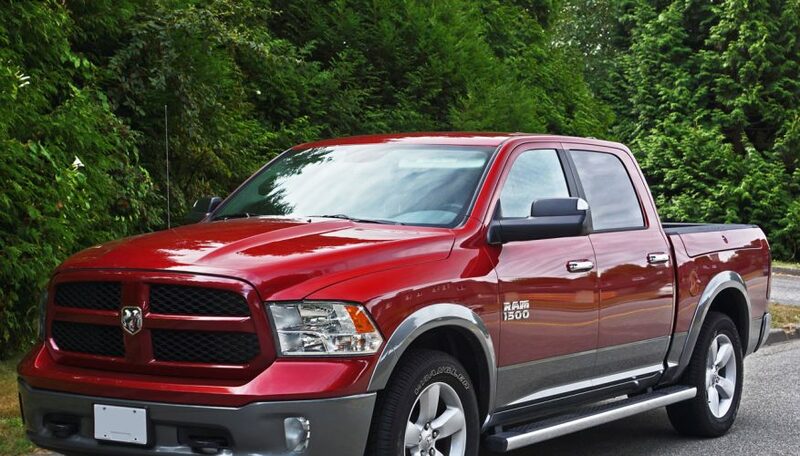 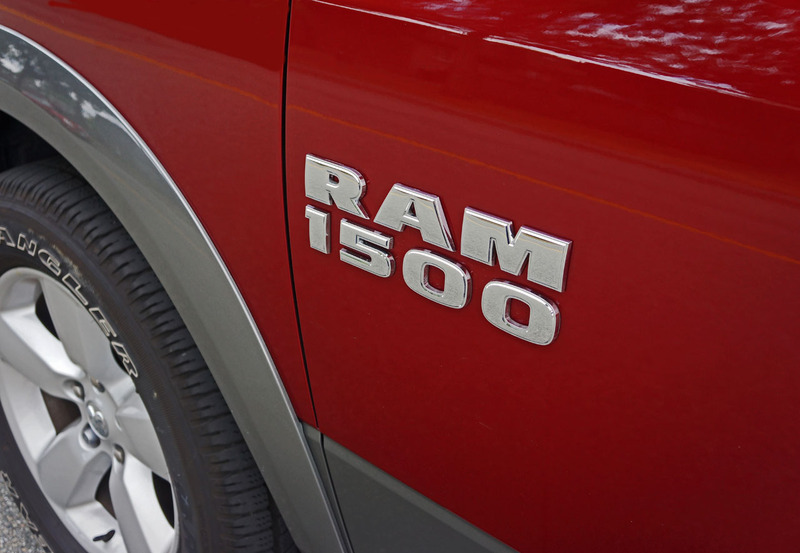 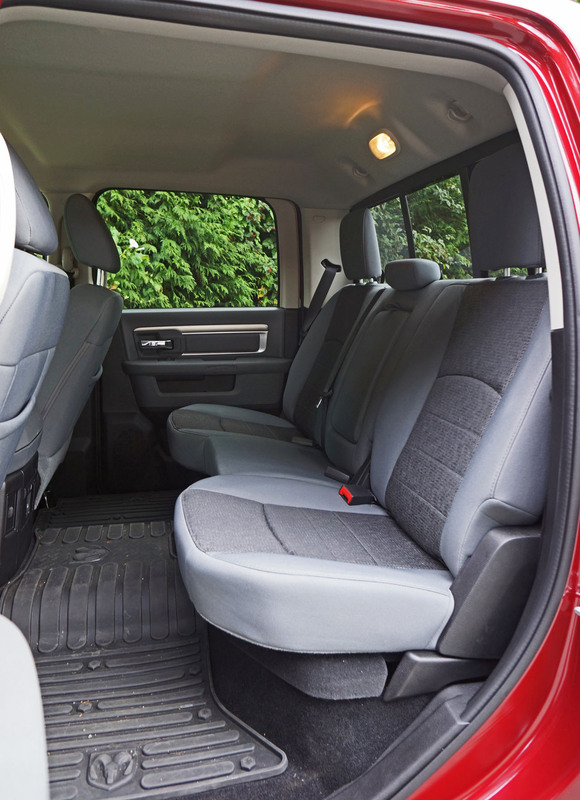 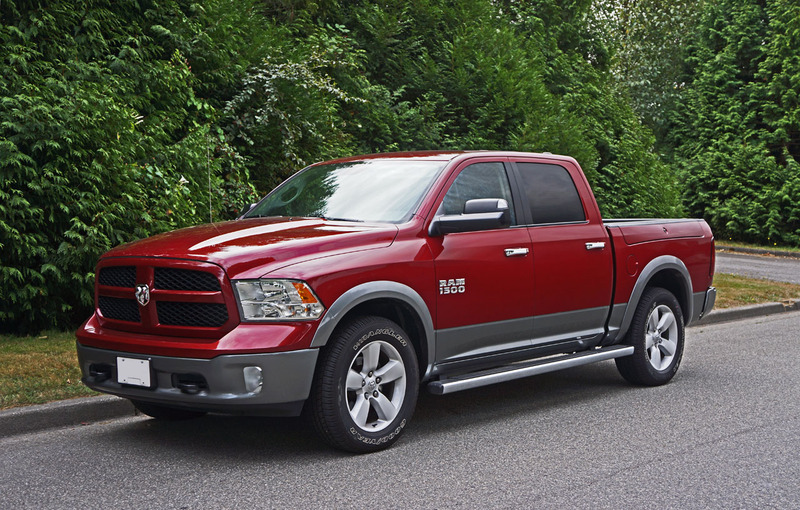 All in all Ram’s latest 1500 is a comfortable cruiser that’s as useful for family duty as it is for work and play. 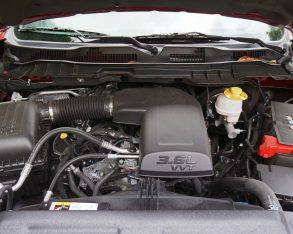 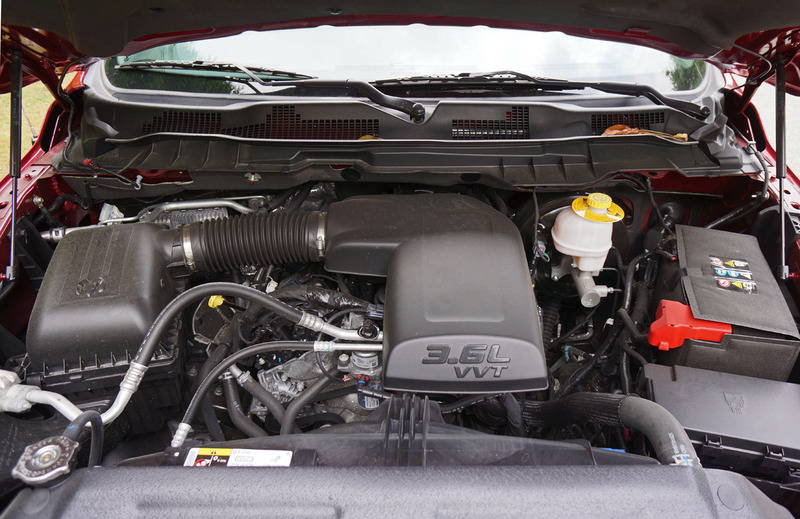 The fuel economy provided by its base V6 and eight-speed automatic give it a solid edge over competitors, while the option of its new EcoDiesel put it clearly in the lead. 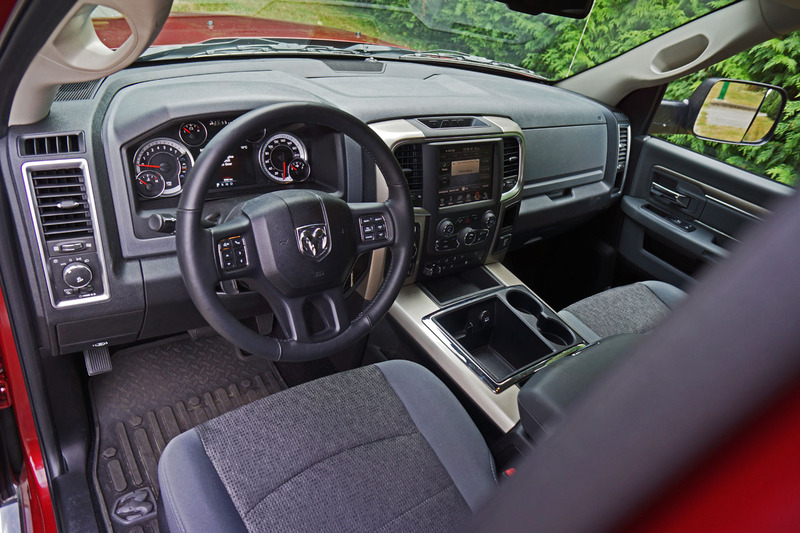 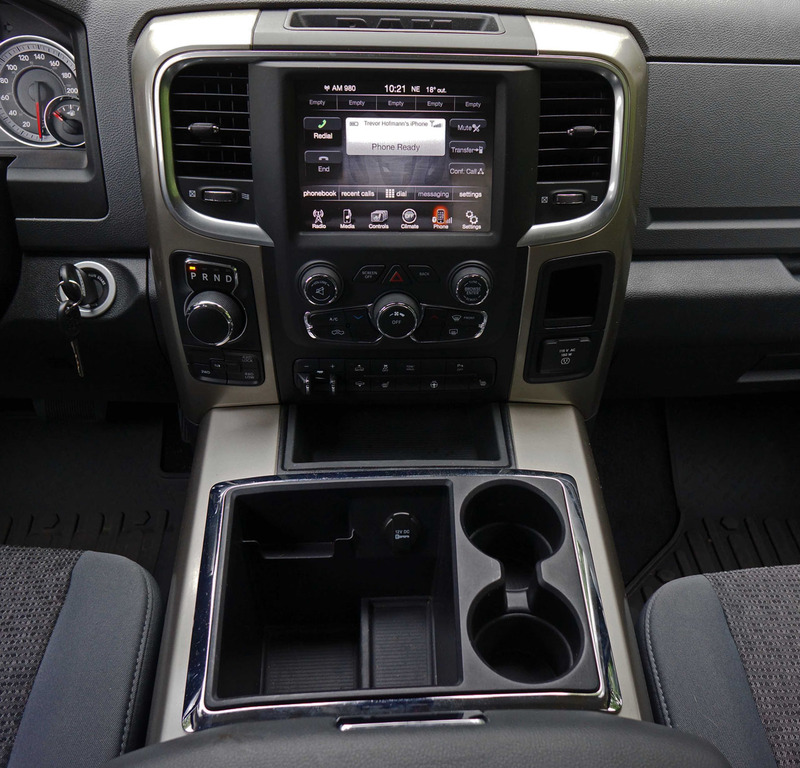 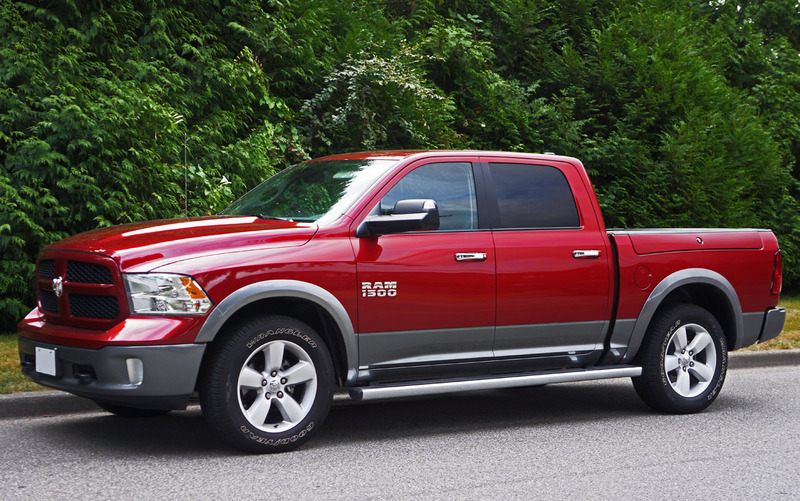 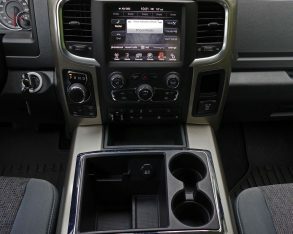 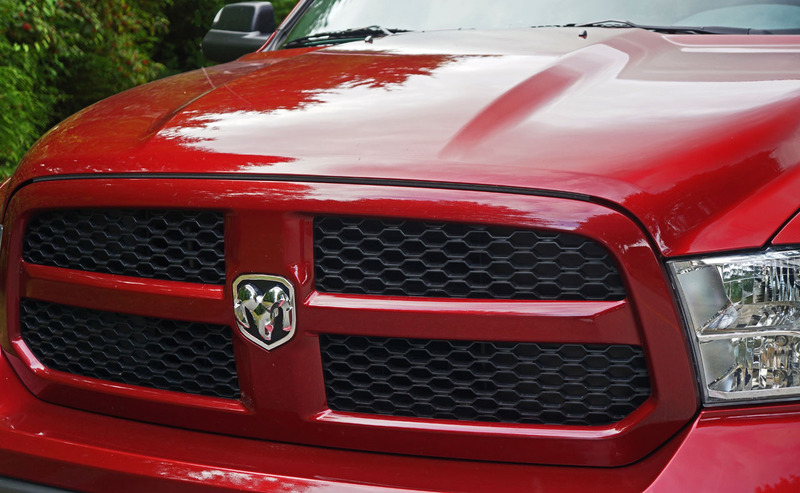 Combine all this with one of the best cabins in the class and the Ram 1500 is hard to beat.